Above image: The collaborative economy empowers people to get what they need from each other –without even having to go the store. Read about four of the many startups that are enabling this behavior below. I’m a little worried this morning. I’m in Minneapolis, the capital city for consumer packaged goods, durable goods, and some of the top retailer brands in the entire world. I’m here to speak to 300 corporate folks, at an event hosted by Magnet 360, Salesforce, and Marketo. What am I going to tell them? That people are shifting their behaviors and, enabled by internet tools, that they can share products with each other – rather than buy them. I’m going to tell them that people can buy once and that then they can share the products that they have acquired with each other many times over. I’m going to tell them that the people in the crowd can get what they want from each other, and that their reliance on corporations can be reduced. I’m going to tell them that they could be facing reduced revenues. I’m even going to tell them that they could potentially lose their jobs. As I prepare to head to the stage in a few hours, I must admit that some ominous thoughts are racing thoughts my mind. I’m going to deliver some bad news. How will they react? Will they tune me out and surf Instagram, ignore me or tweet bad things about me? Or, maybe, throw those little Italian hotel candies at me? I’m even going to tell them that I, myself, have become a Conscious Consumer. Aside from consumables, like food, gas, and personal health items, I can count on one hand the physical goods I’ve purchased in the last two months: A fancy hands-free phone for my home office, a fancy purse for my ever-deserving wife, and a pair of customized Nike ID running shoes. I may even read my heartfelt letter to brands, telling them how my lifestyle is starting to change. That means my relationship with brands will change along with it. You’re probably wondering, who does this? Is it just Asian-American Industry Analysts with four-syllable first names and impossible-to-pronounce last names that live in Northern California? It could be, but if you read, “Share or Die, by Neal Gorenflo of Shareable magazine, he talks about how this “asset-light” movement is common among Generation Y, people who are accustomed to sharing on the internet, yet are saddled with an enormous burden of college debt. They really have no choice. Or I may tell them about internet leader Andrew Hyde who reduced his personal goods inventory to 39 items and experienced the feeling of freedom. I might tell them about my trips to Europe and Asia, where this practice has been common for a quite a long time. Or about how is becoming more prominent in densely populated American cities like New York and San Francisco with sharing of bikes, cars, houses, gardens, and even food. Yerdle taps Facebook to find and share goods. This clever website, which uses Facebook connect with your friends, enables you to share goods and products with people already trust rather than with than some stranger on Craigslist or eBay. It was founded by Andy Ruben, the former Chief Sustainability Officer at Wal-Mart (shocker!). I had the chance to have breakfast with Andy a few weeks ago and learned how he believes products can be easily gifted to each other, which ultimately also put a drain on corporate revenues. I quickly realized this idea also has profound impacts for governments who depend on taxable revenues. NextDoor connects you with your local neighborhood. Startups popped onto my radar thanks to Viv Wang who’s actively watching this space. This is a local social network. And by local, I mean very local. After you verify your identity and location, it connects you with your geographic local neighborhood. Your local community becomes a place to exchange ideas and sell, or even gift, goods and services to each other. Need sugar? You can get that from a neighbor you haven’t yet met just a block away. Need to get rid of some old skis? Sell them on NextDoor or gift them to that college kid down the street. Need to borrow a lawn mower? That should be there too. Stokebox provides for the sharing of collections of goods. The newest one, which was placed on my awareness list by Liz Philips, allows people to get a box of hand-me-downs from strangers rather than family members. You can do things like offer a box of clothes and toys for an infant, and in exchange, or for a very low fee, get a box of clothes and toys for a toddler. Imagine how this can simplify the lives of already overwhelmed parents by reducing trips to the store and increasing their disposable income. GiftFlow empowers people to ask for what they need. What if you need something, but don’t have something to offer? The “gift economy” enables people to ask for what they need. Those who have can give within this new form of economy. 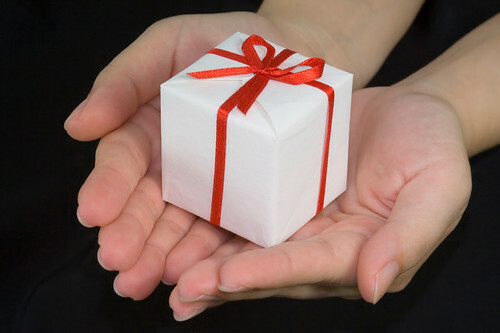 People who continue to give and gift are rewarded by their own intrinsic satisfaction. Reputation reporting systems may eventually emerge to show who the digital Mother Teresas are in this generation. That’s just a small list. If you want to see more, I have compiled a list of over 200 of these startups (with the help of a Taskrabbit, I might add) that are emerging in every vertical and sector around the globe. In each case, the crowd can get what it needs from each other, without having to go to corporations, brands, retailers, or merchants. Company as a Service: Where companies offer products on demand for rental, rather than for sale. Motivate a Marketplace: Where companies enable their customers to sell used goods. The companies can make a percentage, or profit from value-added services. Provide a Platform: Where companies collaborate with the crowd to reduce costs and promote innovation. If you want to know more about this subject, you may read the full report on the collaborative economy value chain (available to anyone) and watch the video, which delves into deeper detail about how companies can use this movement to their advantage, rather than be displaced by it. I leave you with this final thought: When the people in the crowd begin to collaborate to get what they need, it means that corporations must join in, or risk serious disruption of business.